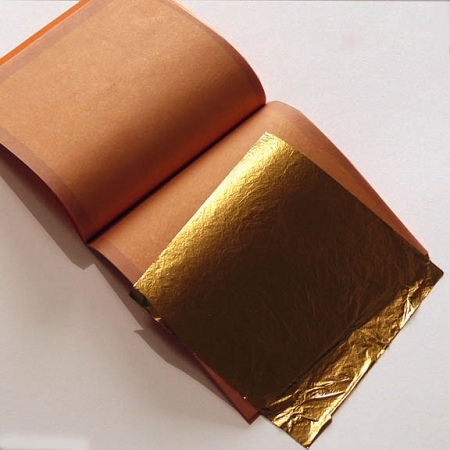 Surface Gold for water-gilding and detailed oil gilding projects. Leaf measures 3 3/8" x 3 3/8". One book (25 leaves) covers just under 2 sqft. while a pack (20 books, 500 leaves) covers just under 40 sqft. Please Note: the picture does not represent the actual leaf color.